It started with a conversation. My friend, Elsie MacDonald, shared her hope of maintaining meaningful connections with seniors who could no longer attend worship. I talked of offering Godly Play for adults. What could be done? We read about Lois Howard’s ministry with elderly persons in a nursing home. A phrase leapt out: “to be a loving, accepting presence to often forgotten people”*. 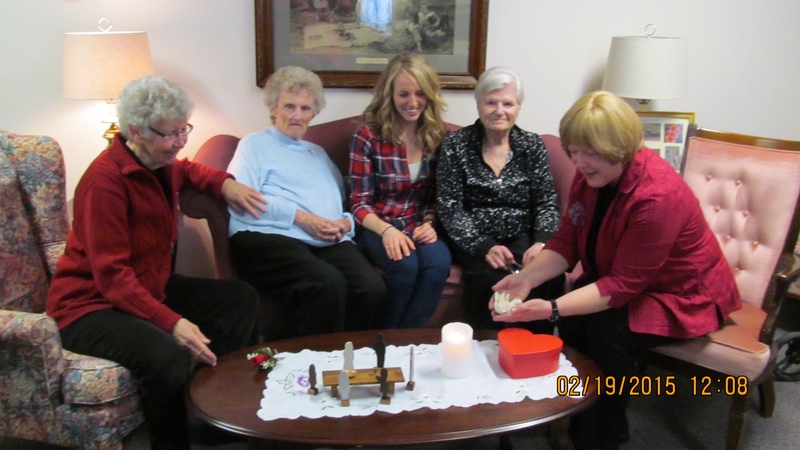 Elsie described aspects of her pastoral visits with seniors: remembering their names, physical touch, speaking tenderly, listening, hugs, giving attention. Hmmm…a loving presence: that is what we wanted to be. Godly Play offered a way. Getting ready: I wonder how a nursing home is like a parable. Categories: General | Tags: Godly Play adults | Permalink.